Lexus Red Parking is accessible by turning onto Jack Evans Street from Woodall Rogers Access Road and Flora Street. Self-parking is $17 and valet service is $27 and may be pre-purchased when purchasing event tickets or by calling the Box Office in advance. Cash and major credit cards are accepted when paying upon entry. Coat check is complimentary and is located on the east side of the Prothro Lobby. See front-of-house staff for details. Restrooms are located in the east and west lobbies on all levels. Family restrooms are located in the west lobbies. All restrooms are accessible for patrons with special needs. 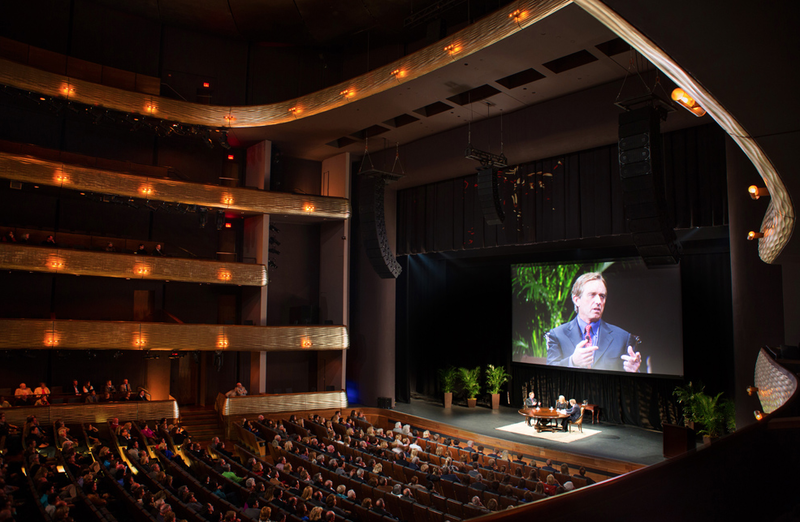 The AT&T Performing Arts Center is compliant with the American Disabilities Act, welcomes all patrons and offers a variety of services to meet special needs. Patrons may be dropped off on Flora Street for easy lobby access. All levels are accessible by elevators in the east and west lobbies. Assistice listening devices are available free of charge by exchanging a photo ID at Guest Services. Lost property will be turned into the Public Safety. See front-of-house staff to claim lost property. 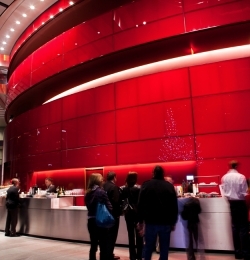 Concessions, including soft drinks, beer, wine, liquor and light snacks, are available for purchase in the lobby. Cash and major credit cards are accepted. 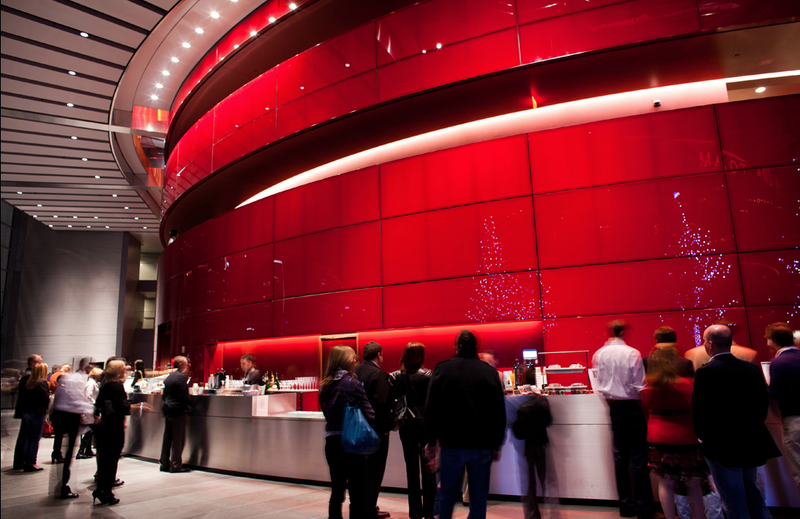 Only beverages in the spill-free cups are allowed into the performance hall for most, but not all, events. 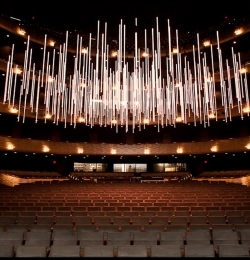 The Margot and Bill Winspear Opera House is a 21st century reinterpretation of the traditional “horseshoe” shaped opera house, engineered specifically for performance of opera and musical theatre, with stages equipped for performance of ballet and other types of dance. 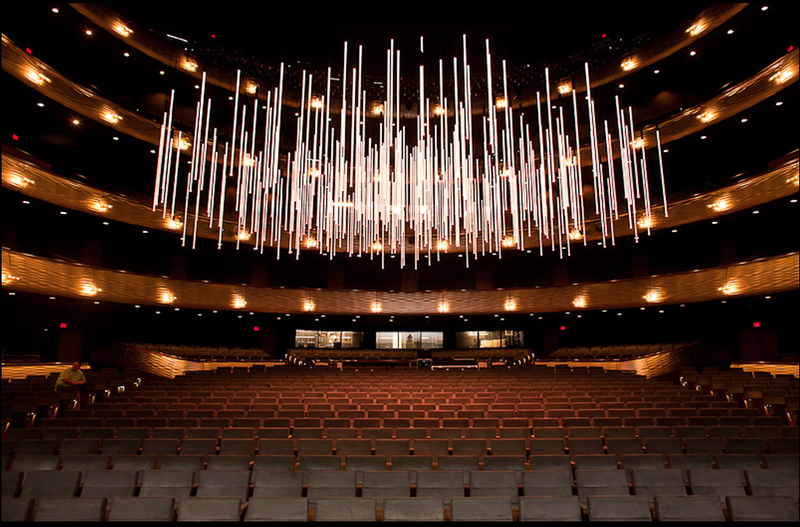 The Winspear Opera House is designed by Foster + Partners under Pritzker prize-winning architect Norman Foster and Deputy Chairman Spencer de Grey. 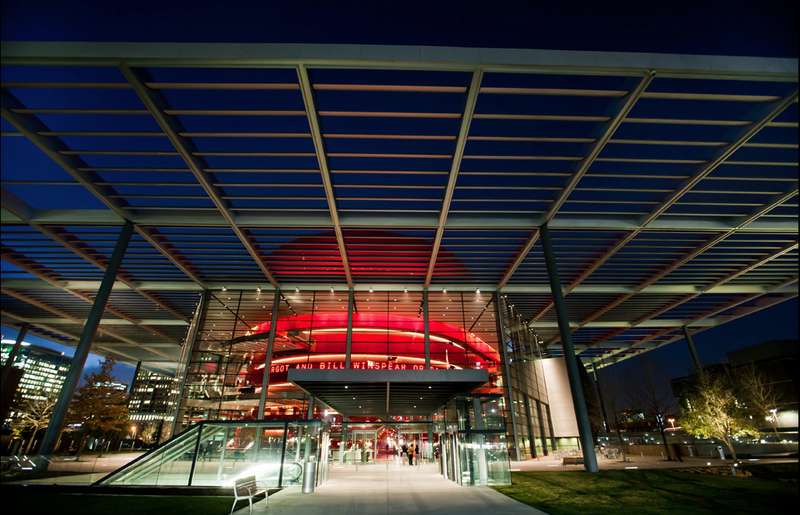 Quite justifiably, it has come to be recognized as America’s finest opera house. 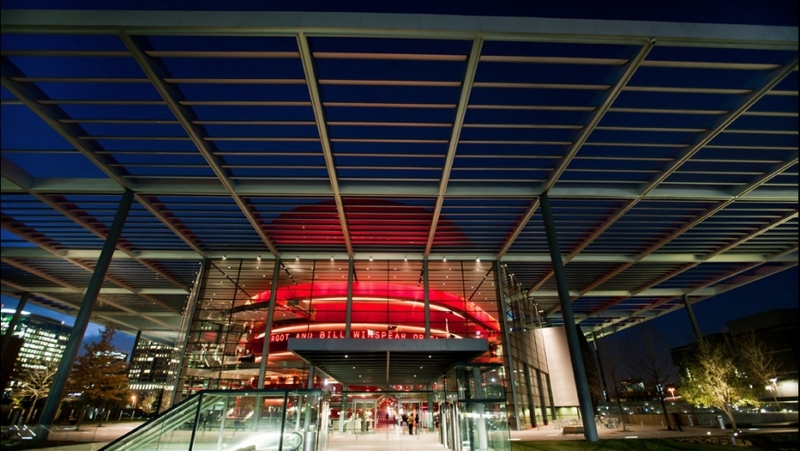 The entrance to the Winspear Opera House features the Annette and Harold Simmons Signature Glass Facade, which ascends 60 feet creating a seamless visual appearance between the vibrant red glass panels of the McDermott Performance Hall and the surrounding Sammons Park. 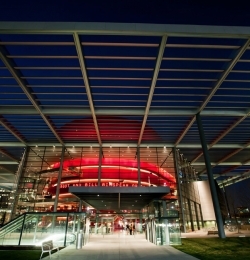 Radiating from the Winspear Opera House on all sides, the Sky Canopy provides shade to the Simmons Glass Facade over three acres of Sammons Park, defining new outdoor spaces for visitors to gather. 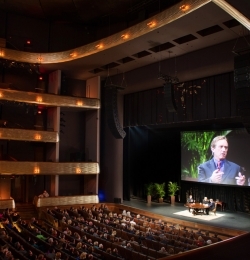 The principal performance space, The Margaret McDermott Performance Hall, features retractable screens, a spacious fly-tower, a three-square stage with generous side and rear stage areas, variable acoustics and accommodates 2,200 patrons.